Mazda issues recall because spiders invade fuel tank causing fire risk. 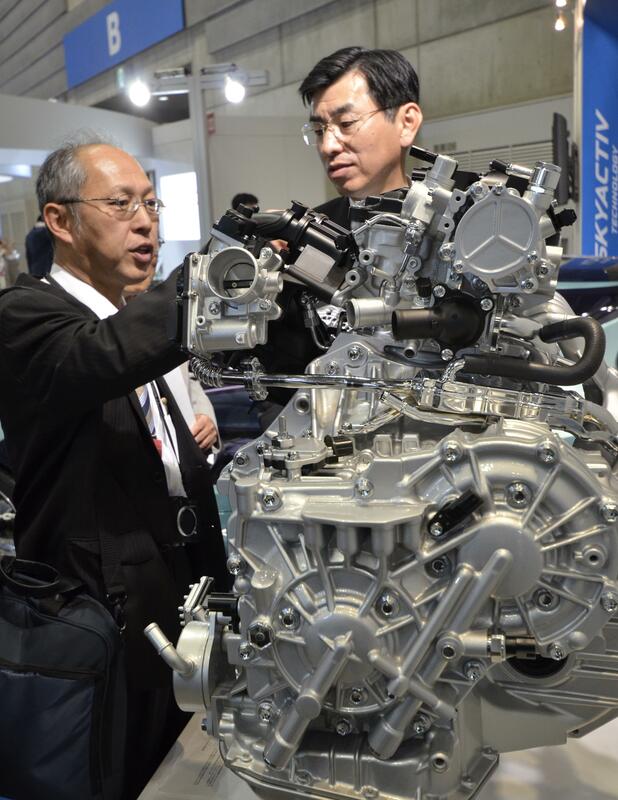 A Mazda engine sans yellow sac spiders. ’Tis the season of car recalls. General Motors is on the hottest of hot seats for a decade of deadly malfunctions, Ford recently joined the recall club citing a problem that could make it impossible to steer, but Mazda’s latest recall may be the most terrifying of all. On Friday, Mazda issued a recall for 42,000 of its cars because of a vulnerability to spider invasion. “The yellow sac spider is attracted to the hydrocarbons in gasoline and can find its way into a fuel tank hose, said Mazda spokesman Jeremy Barnes. There, it may weave a web that blocks airflow. That could cause the fuel tank to crack and, possibly, [cause] a fire. Mazda said it is not aware of any fires due to this issue. Mazda designed a special spring to prevent the spiders from getting in. But sometimes the spiders find a way, so it also designed a software fix to alleviate pressure on the fuel tank and prevent the cracking. Just a quick translation of that statement: what Mazda is essentially saying is that it has designed a software fix because it’s given up on actually keeping the spiders out and is now focusing on making sure their presence doesn’t cause your car to catch on fire. This isn’t the first time that Mazda has (unsuccessfully) waged war on the yellow sac spider. In 2011, the Japanese automaker recalled 65,000 Mazda 6 sedans for the very same reason. To remedy the problem Mazda installed a spring to keep the spiders at bay, but that obviously didn’t quite do the trick. After the first recall the company installed the spring and the software to put an end to the problem. Mazda did not, however, install the software to new models coming off the line. The elephant-like question in the Mazda showroom is: what’s so appealing to the spiders about a Mazda? The answer: no clue. Here’s Mazda spokesman Jeremy Barnes after the 2011 recall speaking to CNN.